All of us want to be healthy and have the energy to enjoy a life that is rich in relationships and experiences. The way that we eat has an incredible impact on our quality of life. While there are dozens of diets out there that promise to transform our lives, most of them are too restrictive to maintain long term. 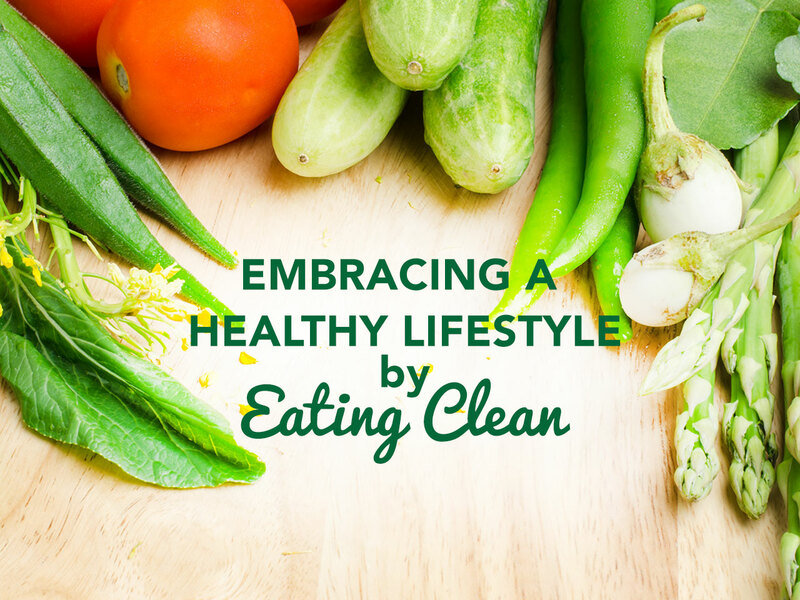 Clean eating is a healthy approach to food that is flexible enough to become a permanent lifestyle choice that will energize and nourish your body. The concept of clean eating is simple: embrace a balanced and moderate diet that is full of wholesome foods. Wholesome foods are ones that are loaded with essential vitamins, minerals, and healthy fats. Avoiding heavily processed foods is a cornerstone of clean eating because processed foods are stripped of many beneficial nutrients. Though the term “clean eating” might seem like another fleeting health fad, it is a concept that has been around since the 1960s. The principles behind it are based on recommendations by public health organizations and current nutritional science. In our busy culture it is easy to constantly grab food on the go without even enjoying what we are consuming—let alone thinking about its effect on our health. Taking the time to savor the food that you eat—and chewing it fully—are the first steps to adopting a more wholesome lifestyle. In general, the more attention you pay to what goes into your mouth, the easier it becomes to control your portion sizes and make healthier choices. You will probably be surprised by how much more satisfied you feel after a meal when you are more conscious of what you are eating. While you can still eat meals on the go, try eating at least one meal a day at a table with other people. Balance and moderation are at the heart of clean eating. These two things go together naturally. When you eat a meal that includes a balanced portion of lean protein, unprocessed carbs, healthy fats and vegetables, you feel more satisfied and are less inclined to overeat. Balance and moderation apply to snacking as well as meals. You can still indulge a little, just be sure to stay conscious of your portion sizes and opt for a treat that is in balance with what you have eaten that day. For example, if you have already consumed a lot of dairy in a day, opt for a piece of dark chocolate or your favorite fruit instead of a bowl of ice cream. Eating clean means eating lots of vegetables because they are rich in fiber and full of vitamins. With all of the quick and easy recipes that are available today at the end of a fast Google search, there is no reason not to make veggies a big part of your diet. With a little bit of seasoning even a bitter vegetable like kale can taste delicious. The general rule is to try to eat 2 ½ to 3 cups of vegetables per day. The most effective way to do this is by including a serving of vegetables in every meal. If you are having trouble incorporating veggies into your breakfast, try throwing a handful of spinach into a blender with your favorite fruits or adding onions and bell peppers into your eggs. Just like vegetables, fruits are a central and wholesome component of clean eating because of all the nutrients they provide. Naturally sweet, fruit is an excellent snack and healthy dessert. Daily intake of between 1 ½ to 2 cups of fruit a day is optimal, and fresh fruit is best. Other options include certain types of fruit snacks that are minimally processed including packages of dried fruit, or applesauce in squeeze packets. When buying pre-packaged fruit products, be sure to check the label. Avoid products with added sugar or ingredients that you don’t recognize. When you buy canned fruits, choose ones that are canned in their own juice instead of syrup. These top 4 clean eating techniques are a great place to start. Curious about the next four on the list? Check out our blog next week!